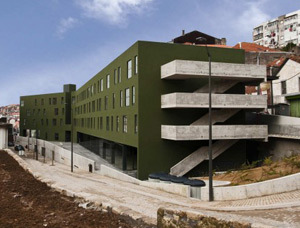 I like the graphical relation between the concrete stairs and the green building in the MD Housing / VA Studio. Nice color, scale, and shapes. This architecture is kinda like a death star.